Ah, dresses! I can never get enough of them! I wear a dress most every day and find them to be the easiest article of clothing to wear. You don’t have to match this and that like you do with separates — it’s just put it on and go! Plus, a dress tends to make you look more chic when you’re in a sea of gals dressed in jeans and yoga pants. And ya know what? You’re probably more comfortable wearing your dress than they are in their comfy casuals! 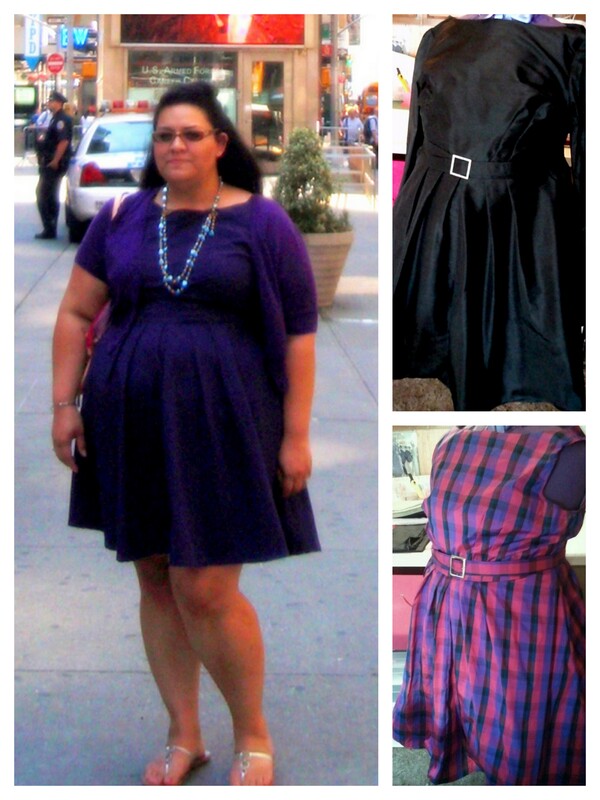 Two of my favorite dress patterns are Simplicity 2444 and Butterick 5982. I had considered writing separate posts for each one, but they are very similar patterns and I’ve traded one for the other, so I figured that I’d combine posts. Before I started blogging my me-mades I was a reader of sewing blogs. 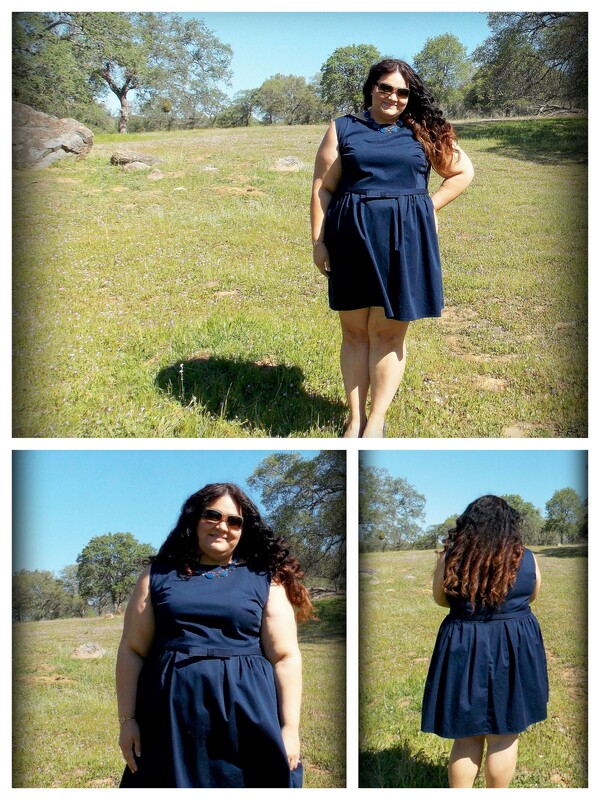 I was perusing blogs one day and saw a post about Simplicity 2444 and all of the different ways that this blogger had sewn it. My thoughts were how cute her dresses were and how I loved the retro vibe. I looked up the pattern and noticed it was one I had in my stash but had never made it and so began my love affair with Simplicity 2444. These are my first versions of 2444. I graded this pattern up to about a Simplicity size 26. The first one I made was in eggplant linen in the basic sleeveless version, paired here with a cotton blend cardi. I sewed it up before a trip to New York and loved how fast and easy it was. I couldn’t wait to make another one! My next version with the 3/4 sleeves was a winter one in a midnight blue silk faille. I lined that one as it was a cold weather dress and wore it to a winter banquet in San Francisco, adding a self fabric belt with a rhinestone buckle and paired it with a fuchsia cashmere cardigan. My next one was crafted of a pink/purple plaid silk dupioni and also has a self fabric belt but with a plain buckle. This version is a pewter silk taffeta (oh how it wrinkles!!!) with the collar and a self fabric belt that I made to wear to a wedding in New Mexico last year. This one is lined with grey china silk and paired with a me-made cardi (Simplicity 2154) which is now my go-to cardigan pattern. 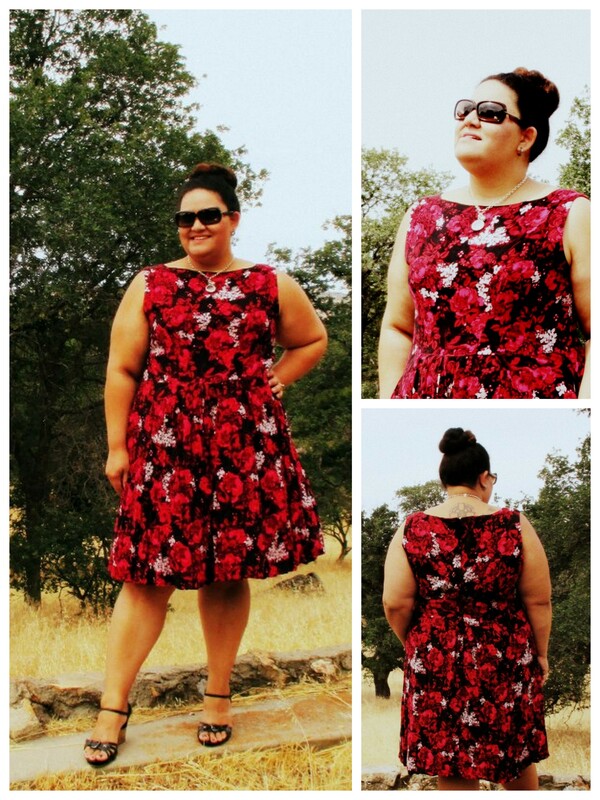 My last version of 2444 was this red floral rayon challis dress lined with black cotton batiste. After I made this dress I thought perhaps I should start using some other patterns as I didn’t want to get too fixated on this one, so I decided to “retire” it, for no other reason than that there were so many other patterns out there to try! Then of course I found Butterick 5982…. This pattern is similar in shape and style to Simplicity 2444, but has some differences. The bodice has princess seams with two darts rather than four darts. The skirt is pleated and gathered and has one full piece for the front skirt rather than two for Simplicity 2444. I was not impressed by the photos on the pattern envelope (nor do I think that many others are as this is not a popular pattern on Pattern Review), but I could see by the line drawings that it was going to be a great dress and it certainly turned out to be. My first Butterick 5982 was this red linen version. I didn’t make a muslin and it turned out exactly as I wanted it to be! This is graded up to about a Butterick size 26. My next one is this mint eyelet underlined with white cotton batiste. This pattern works very well for a fabric with a scalloped edge such as this, a border print or a printed panel. My most recent version of Butterick 5982 is this one in navy cotton sateen. I went with the super sweet bow belt for this one and it’s definitely a great basic dress. I’m looking forward to making some more versions of this pattern. I especially cannot wait to make version B using some gradient and contrasting colors. Whilst writing this post, it sure is interesting to see my photographic progression. Good photos really make a difference when showing off your garments! 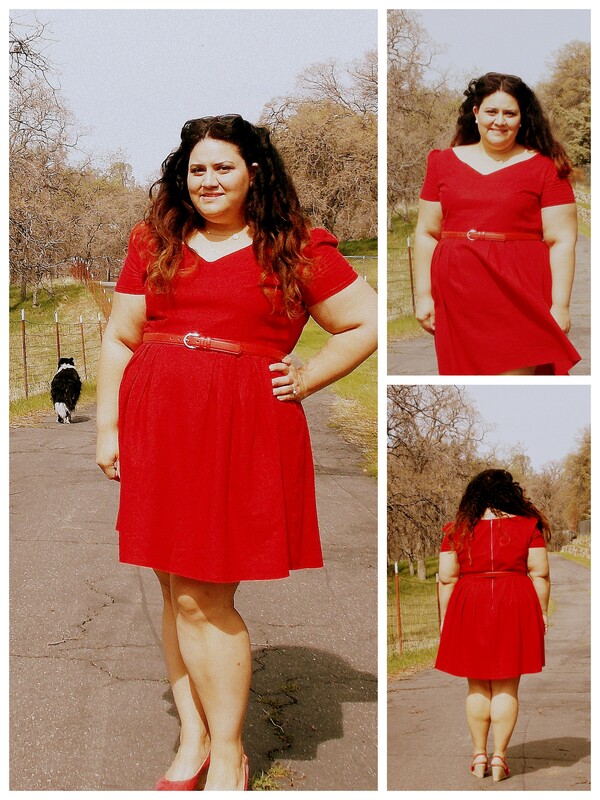 I don’t know about you, but I’m hankering to make another dress! There always seems to be more things to sew than time, but I think another Butterick 5982 needs to move up on my sewing list! What adjustments did you make? Graded the pattern and removed darts from the back bodice on each pattern. I’ve lined each pattern. Curvy rating: Simplicity 2444 — 4 — as it does not go into plus sizes; Butterick 5982 — 4.5 for the same reason, but a bit of a higher mark as the sizing does go up higher. Tanya, what a beautiful woman you are and the dresses are superb. My favorite was the red floral on you. The pictures were great. I have to try one. I’ve never done pleating, gathering yes, which should I choose? Which one is the most comfy? HI Bonnie! Both styles are comfortable. Gathering takes less ironing though! You look FABULOUS in the red floral dress! 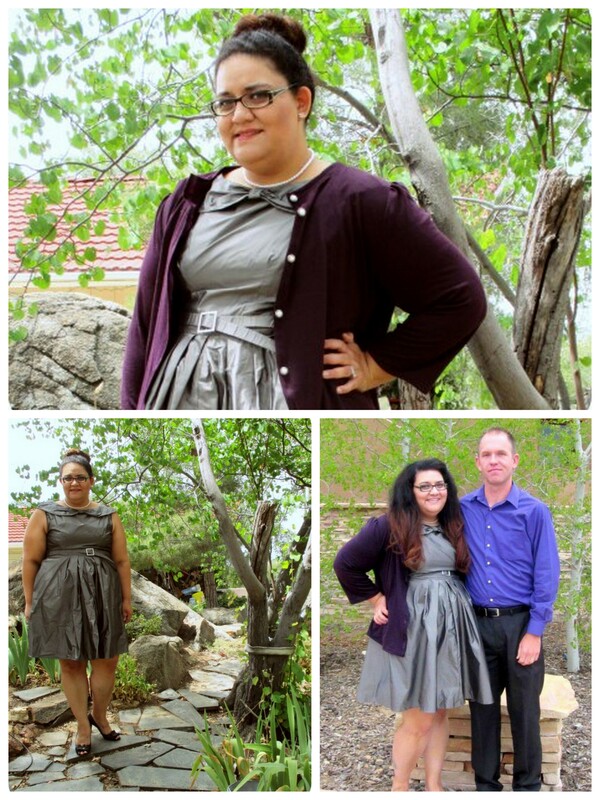 very sophisticated in the gray & plum, but knock ’em dead amazing in the red floral. I absolutely love the red floral dress! Can I ask where you found the fabric? I loved this post, and always enjoy your dresses. I would love to know how to grade up a pattern as well. Brilliant! I’m really new to sewing clothes but I love the things you’ve made and shown but have no idea how to grade up a pattern for the larger lady! I do make the same patterns over and over again. If I put work into getting the fit I want, I want to enjoy my efforts. And since I can’t make the same thing twice the same way, I don’t know how many people notice. Certainly not my family, and they see me sew this stuff. Dolly Clackett. Queen of the Novelty Print Dress. http://dollyclackett.blogspot.ca/ Now she’s a repeater! I think 5982 might give a better fit in the bodice if you need to alter it. Roisin is definitely a repeater!! The dresses are wonderful, Tanya! Thank you for sharing. 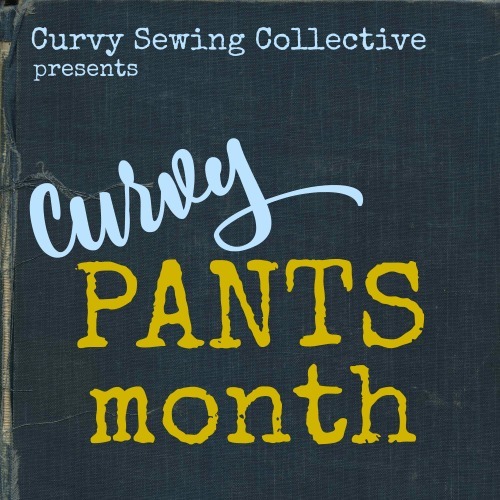 I love the Curvy Sewing Collective!! Love the red challis on you. Wow, they’re all beautiful but the red one is amazing!! So glad this blog was created. Please consider a tutorial on how to grade pattern. Thank you, thank you! Each version is fantastic and beautiful. I have to put 2444 into the rotation. I love this website! I particularly look forward to your posts since my body shape is similar to yours. Dresses are also my go to item. I have Simplicity 2444 in my pattern stash, and you have given me some inspiration to make one of my own. Wow! These dresses are beautiful on you. I’m gonna have to try to make one of these dresses. I picked up Butterick 5982 because of your green eyelet version. It’s probably my favorite make so far. Love, love, love! I have the Butterick pattern, and I can’t wait to get started on it after reading this! I like your work and how you look on your photos. 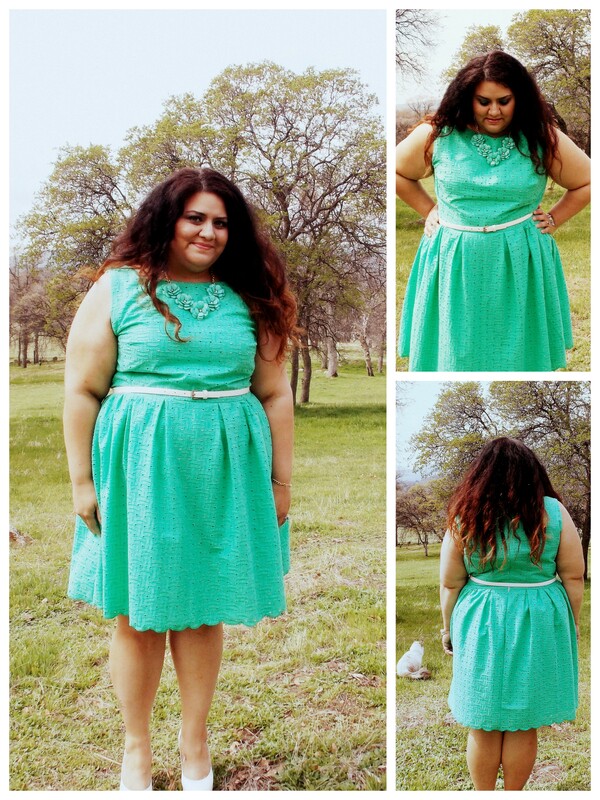 It’s wonderful to see you so confident in wearing dresses without size zero. I always love dresses and since this summer I’m wearing them like you. Have you ever thougt about using a piping, maybe in a different colour for your dresses? Since a few weeks I use them in my work and it’s a very special effect – from very colourful to very stylish. I love the look of both those patterns, but my body is shaped like a cylinder so I just don’t know that I can pull off that silhouette. I have to say that all your dresses are pretty, I especially like that mint green one, but you look fabulous in red! The red dresses are my favorites on you – gorgeous! These dresses are fantastic, Tanya . . 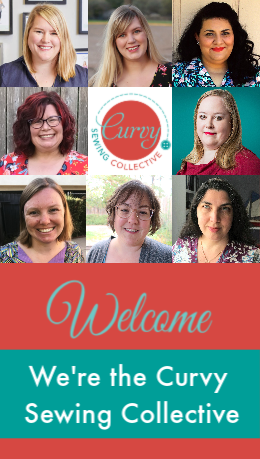 I wish Curvy Collective had been around when I was a young woman, to encourage me to have a positive image of myself and a clear idea of what I like to wear. It inspires me to sew great things for my young adult daughter. I love the Simplicity 2444 pattern, I’ve made several versions already, the bodice is just great and you can easily vary the skirt part into a circle skirt, gathered or of course use the pleated pattern, I really can’t get enough of that pattern. The Butterick pattern looks very much like simplicity 7602, but it has a sweet heart neckline, which I prefer and I have just cut it out in a muslin fabric, to test the fit. I love your eyelet version, the fabric and colour is fantastic, and I like your detail of the exposed zipper on the red dress. So cute! 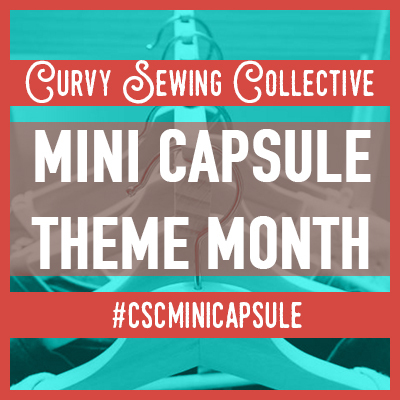 I own the simplicity pattern but haven’t actually made it yet… I might just have to break it out after seeing yours! Thanks for sharing. I may have to try these patterns. My favorite is the red floral. Whoops, I meant the simplicity 2444 dress. Those dresses are all amazing on you, but I particularly love the red floral 2154 as it’s so flattering. Thanks for bringing those patterns to my attention.